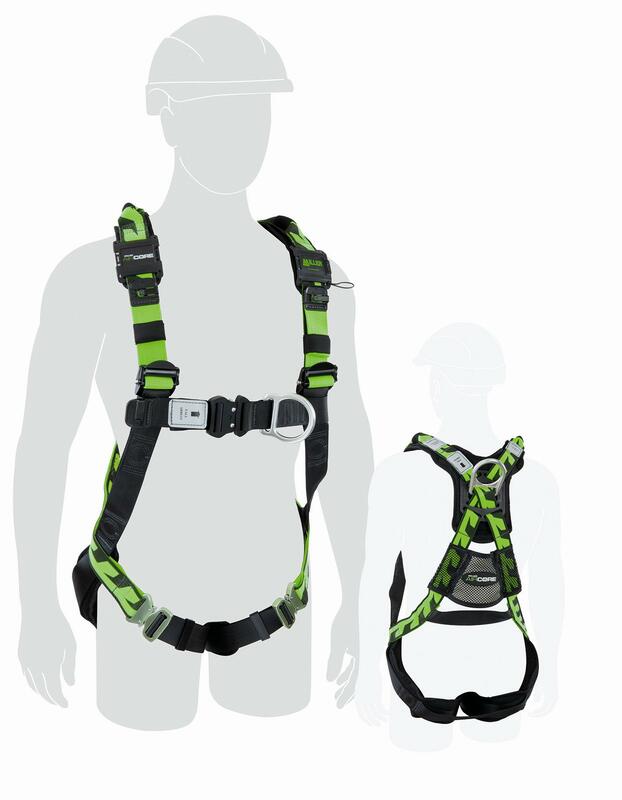 The Miller AirCore Construction Harness is a light-weight full-body harness. Its specifically designed breathable, open-core padding technology provides optimal air flow, reduces heat and moisture entrapment and keeps the worker drier and cooler. The patented Miller DuraFlex® stretchable Duraclean webbing provides greater flexibility and increased comfort. The unique, quick operating cam buckles on the shoulder straps make the verti-cal webbing adjustments easy. The distinctive webbing design creates a vibrant style for easy identification and greater visibility.  Equipped with a label pack housing all relevant harness information including donning instruc-tions, connection instructions, AS/NZS 1891.1 2007 certification and inspection grid.